Home » Hostgator » Hostgator WordPress: Is it Worth it? Features + Coupons! Hostgator WordPress: Is it Worth it? Features + Coupons! In this Hostgator WordPress review, I’ll show you how it’s different from regular shared hosting and see if it’s worth the extra cost. I’ll also give you the best coupon code for the maximum discount for the first billing cycle. So let’s get started! The discount from this coupon is less than the discount for regular web hosting. Here’s the complete list of Hostgator coupons for you to compare prices. As expected, you get the biggest savings when you sign up for three years. That way, you also get cheaper renewals when your need to re-subscribe! Normal web hosting stores your data on a specific server in a specific location. The Hostgator WordPress packages however, use the same architecture found on Hostgator cloud hosting. Meaning that the data is spread out across three different servers, instead of just one. This makes it much more secure, since if one copy fails, the others are there to gracefully pick up the slack. Note however, that all three of these servers are located in the same region. It does not mean that your site will be served from a different region depending on which is closest. The cloud architecture only increases security and provides a failover. WordPress pages are generated dynamically from the database whenever a visitor comes to your site. It means that on each visit, your database is being hit, the server’s CPU is being used to create the page. This slows things down and can even bring your site to a crawl if you get a lot of visitors suddenly. Dynamic caching stores a copy of these pages after they’re generated the first time. For all subsequent visits, the static pages are served to visitors, meaning there’s no additional load on your server. This allows your traffic to scale up significantly without much strain on your server. Here’s an in-depth article about caching on shared hosting, along with a list of hosts that support server side caching. All good WordPress sites use dynamic caching in one way or another. Most of them resort to using a plugin like WP SuperCacher, W3 Total Cache, or W3 Rocket Launcher. While these do work, they’re still slow. The Hostgator WordPress plan however, takes care of this at a server level, and this places hardly any load on the server. Not many web hosts include dynamic caching as a default part of their regular web hosting. SiteGround is on exception with their “SuperCacher” functionality. Here’s a list of SiteGround coupons if you want to compare prices. The Hostgator web hosting plans don’t include dynamic caching, but the WordPress plans do. If you’re running WordPress, dynamic caching is a “must have”. This is a unique feature of the Hostgator WordPress plans, that’s not found anywhere else. They all include a global CDN supplied by the “SiteLock” add-on. While with normal web hosting you have to specifically purchase SiteLock, it comes free with all optimized WordPress Hostgator packages. While the value of a CND is unquestioned, I personally wonder if the SiteLock CDN is the best one to use. My opinion is that free Cloudflare is the best CDN, and I recommend that you use that as well. But if you don’t want Cloudflare, then SiteLock is fantastic, because otherwise you would be paying for the CDN itself. Note that you’re still on a shared server. It’s not a VPS plan. But these servers are very “low density”, and this means faster site load speeds, and fewer chances of you being throttled. All Hostgator WordPress plans get free complimentary malware scans. This is extremely important in today’s world because of the scary number of site hacks being discovered every day. A compromised WordPress site can leech visitors off your business, plunge your rankings in the search engines, and you might even lose control of your site altogether. A good WordPress malware scanner looks for known vulnerabilities and notifies you before they can do any harm. Regular web hosting includes a complimentary malware scan of the first five pages of your site daily. But optimized WordPress Hostgator hosting includes all the features including automatic removal as well! In other words, it has everything you need to manage WordPress without the clutter of cPanel. For many people, this is a significant benefit, since it also reduces the chances of messing things up accidentally! A shocking number of WordPress installations are out of date and insecure. Most of this can be avoided simply by keeping your plugins and themes up to date. But this usually needs to be done manually, and when you don’t log in for a while, routine maintenance can build up. The Hostgator WordPress plans can do this for you automatically, so you always have the latest versions of software running. This improves security and ensures that you get the latest bugfixes without any delay. Just like with all their plans, Hostgator WordPress hosting includes free SSL with Let’s Encrypt. While these are not “positive SSLs”, they’re still good enough to get you the “green lock” icon on your site, which means that all traffic between you and your visitor is encrypted, and no one can snoop on it. Plus is correlates with higher rankings in search engines too. Google in particular has made it very clear that it prefers SSL sites. Also, browsers like Chrome won’t display scary warnings! It also means that you can’t have multi-site WordPress installations, unfortunately. 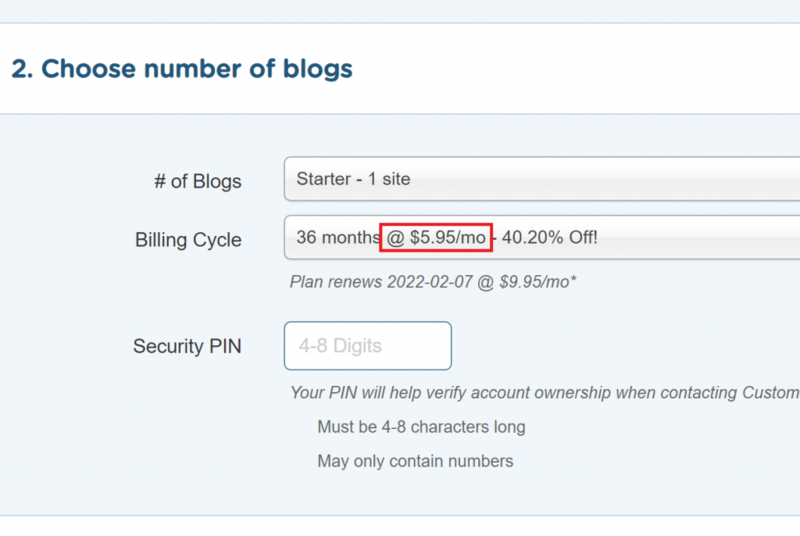 Bottom Line: Is Hostgator WordPress Worth it? Surprisingly, yes. Unlike a lot of other “WordPress hosting” packages from other providers, this is not just standard web hosting with WordPress slapped on. It actually includes useful features that you would normally have to pay for separately. Like a CDN, and malware scanning. The other perks like dynamic caching and cloud architecture are really important for a fast WordPress site. It’s better to have these features implemented on a server level instead of an add-on with plugins. So I’d say that the Hostgator WordPress plans are definitely worth it. And that’s more than I can say for many other web hosts!